It was Christmas E ve in the year of our Lord, 722, Kristoph, an orphan boy, went with missionary priest, Boniface through the countryside, hurrying to reach the village before nightfall. They come upon a group of people in the forest worshiping an oak tree, . There is a boy bound in their midst. Boniface intervenes, the pagan worshippers sneer. To prove that the oak was powerless and that Boniface’s God was not, Boniface fells the oak with a single stroke of his axe. The sacred oak was destroyed, but inside its trunk was a fir tree as big as man. Boniface called it “the tree of the Christ Child,” and instructed the men to bring this tree into their home, warning them “it will not shelter evil deeds, loving gifts and lights of kindness.” He chops down the fir tree with a single stroke of the axe, and the men carry it away. Boniface, Kristoph accompany the rescued child, the son of a Chieftain, to his home with the promise of Christmas dinner awaiting them. They find another evergreen along the way, and cut it down for their celebration. This time it takes three whacks for Boniface to fell the tree. The decorate the tree, topping it with a beeswax candle. This is the stuff of legend. There really was a Saint Boniface who led the Anglo-Saxon mission to Germania. He really did fell a Great Oak tree worshipped by the land’s pagan inhabitants (somewhere near Hesse, Germany). Did Boniface cut it down with one axe strike? Was there a fir tree growing from the stump? Who’s to say? I wasn’t there. We are a couple of weeks away from Pentecost—the celebration of the outpouring of the Spirit on all flesh: wind and fire, young and old seeing visions and dreaming dreams, and women and men speaking with other tongues. Acts 2 tells the story of one-hundred-and-twenty disciples gathered and waiting, surprised and vivified by the Spirit’s presence, knit together as one family—the church—the body of Christ. The Day When God Made the Church: A Child’s First Pentecost Book by Rebekah McLeod Hutto (illustrated by Stephanie Haig) provides a way for parents, educators and ministers to share the story of the Holy Spirit’s coming with young children. With Haig’s vivid illustrations, Hutto narrates the rush of wind, the crowds confusion and highlight’s from Peter’s sermon. She stresses the good news of Christ’s resurrection and the joy and new life given by the Spirit to all who respond to the good news of Jesus. Hutto is a Presbyterian Church (USA) minister at Brick Presbyterian Church where she serves as Associate Minister for Christian Education and Discipleship. She manages to tell the story of Pentecost in an engaging way that is simple enough for a three or four-year-old to apprehend, and true enough to events that older kids and adults (big kids) will also find it instructive. Haig’s artwork includes ribbons of color and fire, people, animals and symbols. There is a variety of skin tones included among Jesus’ disciples, signally the diversity of the body of Christ. This is a short picture book (paper back, 32 pages long) but it captures well the birth of the church. I recommend this book for parents, Christian education directors, Sunday School teachers who want to share the joy and Good News of the Spirit with their children. I give this four stars. I am a father of four kids eight and under. So I read to them a lot. As far as religious kids’ books, I like books that tell the old, old story well in a way that is both age appropriate and compelling. The Garden, the Curtain, and the Cross is a great book. It gives kids age five to eight (my test group) a big picture sense of why Jesus died and rose again. Author Carl Laberton tells a story which is accessible for my kids and true to scripture. His story is beautifully illustrated by Catalina Echeverri’s stunning illustrations. On the first day I got this book, I already read it several times with my kids. It opened up a great conversation with my eight year old about what the Bible tells about sin and we loved talking about what was happening in the pictures. Here is a brief synopsis of the book [spoiler alert]: It begins in the garden where there was nothing bad, ever and there was no one sad. . . ever. And best of all God was there. Unfortunately the people did a terrible thing and decided they wanted a world without God in charge. Because of their sin, God sent them out of the garden and put warrior angels in front of it like a big KEEP OUT sign. People still kept sinning because they didn’t want God in charge. God wanted to remind people how wonderful it was to live with him, so he had his people build a temple. In the center of the temple was the wonderful place where God was. But around that wonderful place was a curtain with pictures of warrior angels—God’s big keep out sign telling them that because of their sin, they couldn’t come in. After hundreds of years God sent his son as a person (Jesus) to open the way to God’s wonderful place. The people put Jesus on a cross. Jesus took all our sin—the bad things we do and the sad things they cause—and the curtain in the temple tore in two signalling God’s wonderful place was open again. Jesus rose three days later and welcomed all who trust in him back to God’s wonderful place. Note: I received this book from the Good Book Company via Cross Focused Reviews in exchange for my honest review. Pop goes the Bible Stories: a kid’s book review. Who doesn’t love a pop-up book? Curmudgeon-y old cranky faces, that’s who. The rest of us know that they are a lot of fun to read, especially if you have young readers to share it with. 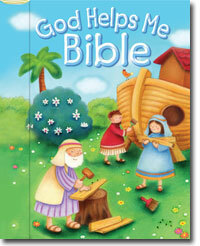 I got and read my Pop-Up Bible Stories with my five and three-year-old’s and they really enjoyed it. Basically this book has five vignettes of stories in the Bible: Baby Moses floating in the basket,Daniel and the Lions Den, Jesus raising Jairus’s daughter, The parable of the lost sheep and Jesus calming the storm. Each story is told in a short paragraph with an accompanying Bible reference so you can explore the story in more detail. I think the best pop-up books are interactive with pull tabs, wheels, doors to open, etc. There is actually only one scene in the whole book with a trap door to open (revealing the king looking down). The rest of them are just fun to look at. Because this basically gives vignettes of Bible stories, it doesn’t really tell the stories. I think this makes it appropriate for younger kids (or young readers who are practicing their reading on stories they are already familiar with). But I personally prefer a more narrative approach in my pop-ups. Finally this is a book of Bible stories where the characters are fairly white (i.e. the Egyptians, the Persians, the Mediterranean Jews all look White Anglo Saxon Protestant). I like Bible books for children which do not re-enforce ethno-centricity in my ultra-pasty kids. But this is putting a book for children under far too much critical scrutiny. My children love it. 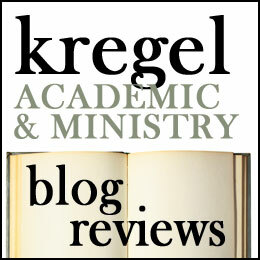 Thank you to Kregel Publications for providing me with a copy of this book in exchange for this review. 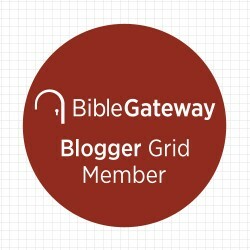 Posted on August 14, 2012 Categories Books, Children, ReviewsTags anglo saxon, Book review, Books, Children's books, daniel and the lions, daniel and the lions den, Kid's books, Pop-up booksLeave a comment on Pop goes the Bible Stories: a kid’s book review. As many books as I read, most of what I read are kids books. with three kids ranging from 15 months to nearly 5, I am often cornered by a kid with a book and I am on a constant look out as to how to build biblical literacy into their development. To this end, the God Helps Me Bible is a wonderful book. In this book, author Clare Caddy and illustrator Juliet David present 25 Bible stories geared for young children which illustrate the ways God has helped his people. Each of the stories ends with a “God helped…” statement about the character in each story. What is nice about this book is that each of these stories are brief and simple, perfect for the attention span of young children and colorfully illustrated. Each story is two pages long. My kids loved it, and the spiral binding does mean that it sits flat open on the floor or table. There are stories of Jesus here, but there is no story of the cross and resurrection. Generally, because it is a children’s bible it sanitizes some of the stories anyway, but I kind of wish this story was in here as the greatest example of God helping us. Other than that, I found this book a great addition to our kid’s library and a great way to get the truth of God’s word in them. Each of the stories have Bible references listed so you can link the tales here with the actually biblical account. Thank you to Kregel for providing me a copy of this book in exchange for this review.